Originally published 1965. This reprints the 1977 edition which included a new introduction. 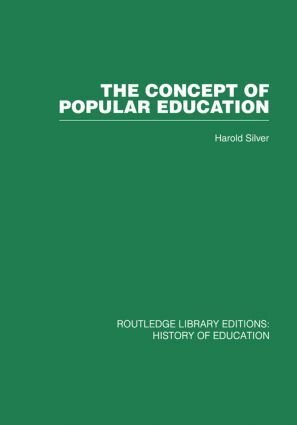 From the starting point of "popular" charity education, the book traces the dynamic of ideological and social change from the 1790s to the 1830s in terms of attitudes to education and analyzes the range of contemporary opinions on popular education. It also examines some of the channels through which ideas about education were disseminated and became common currency in popular movements.